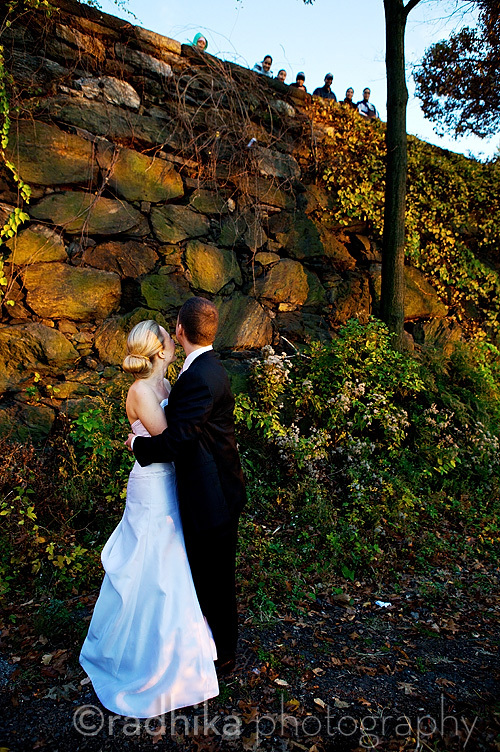 Land’s End in Sayville is a lovely venue for a wedding. 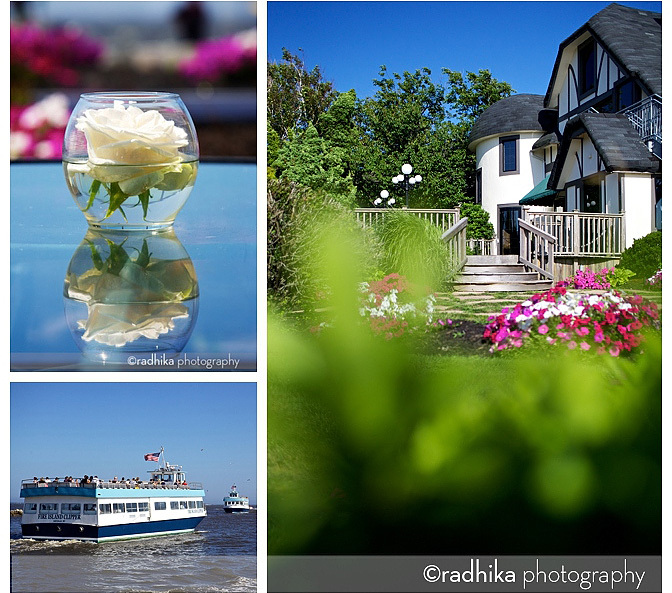 It’s always fun to photograph a new place. 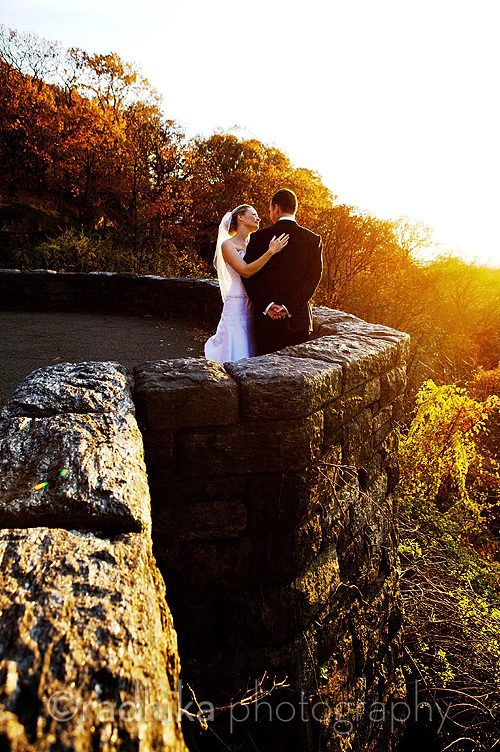 It was a beautiful clear blue sky day when I first saw the place in late afternoon light. 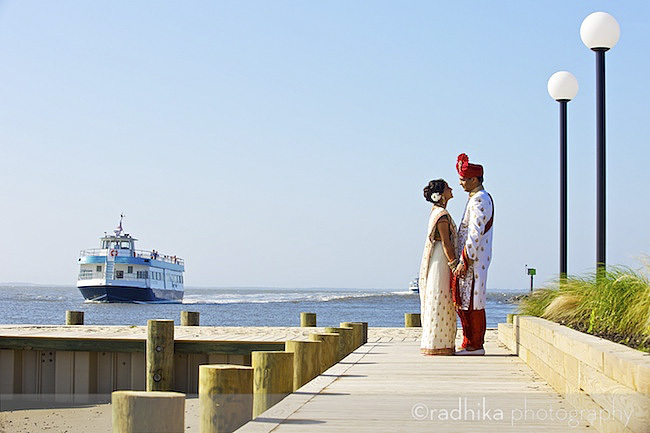 I hadn’t realized the Fire Island ferries go past there all day long and it was fun to watch the boats. 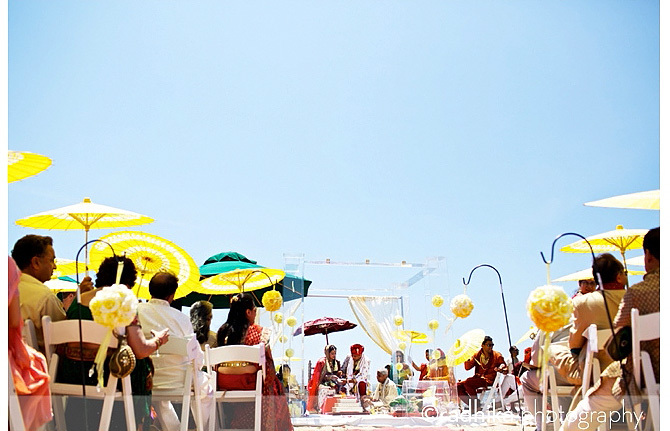 Indian weddings rarely take place on beaches simply because it’s not the easiest thing to accommodate 300 plus guests. 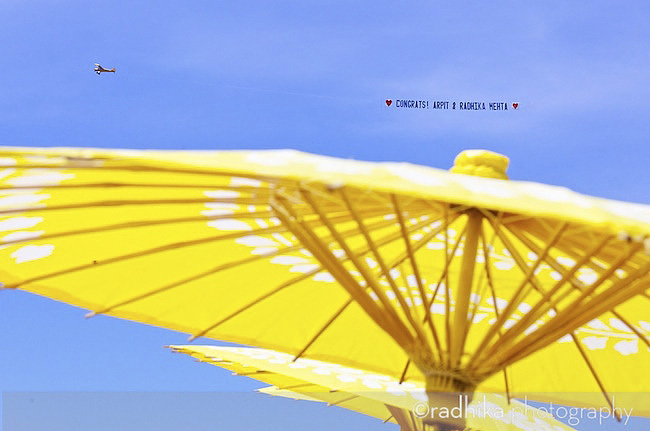 It was a very hot July 4th holiday weekend out on Long Island. 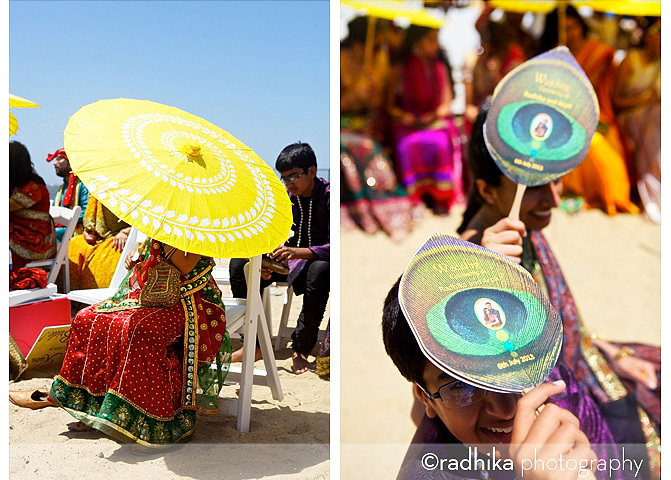 Family and friends took cover under sunny yellow parasols at the auspicious wedding hour (determined by the priest) of noon to enjoy the ceremony and got the added bonus of a flyby…a surprise from the bride’s father for the couple. 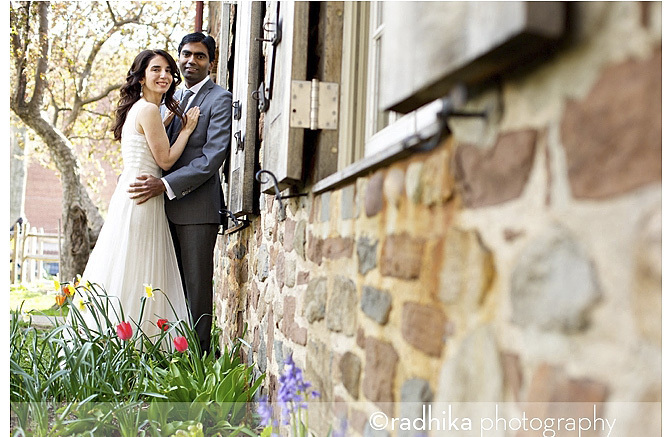 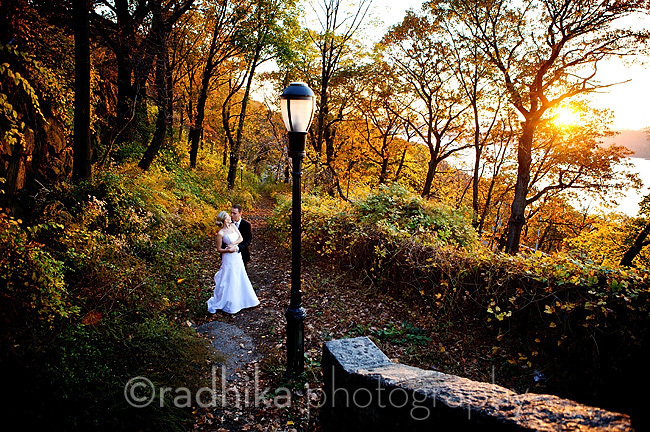 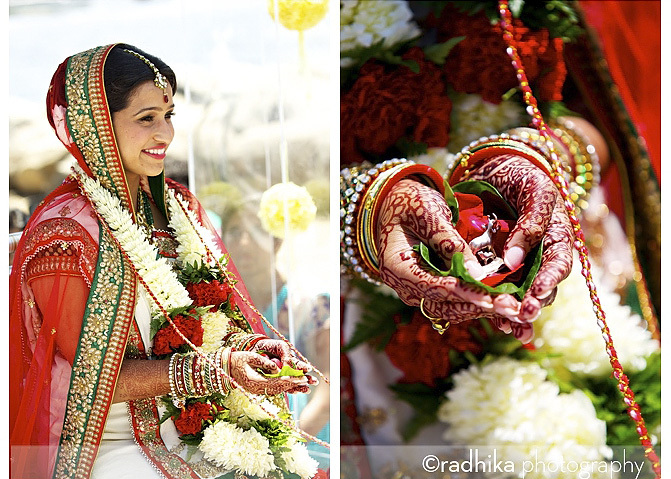 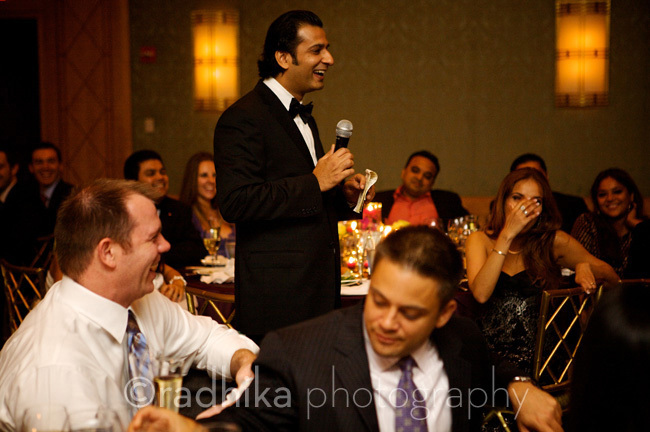 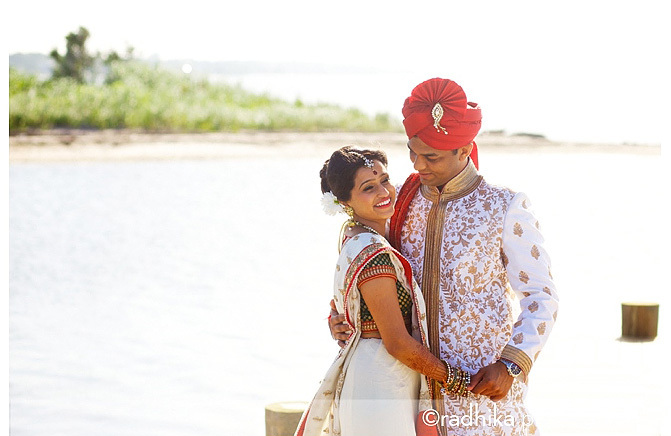 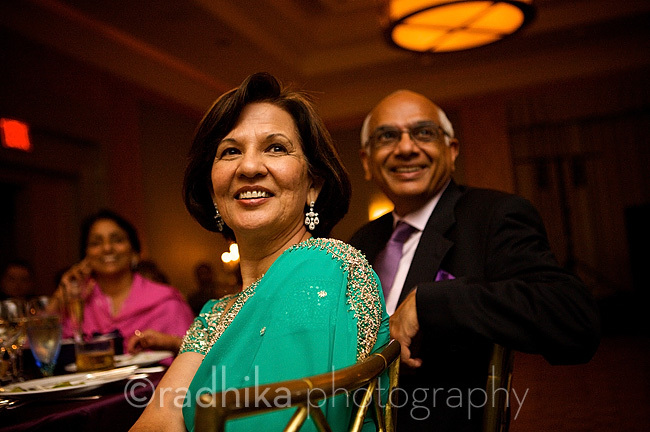 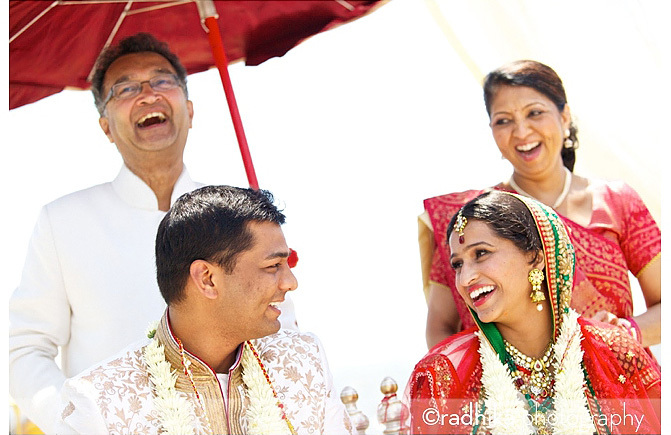 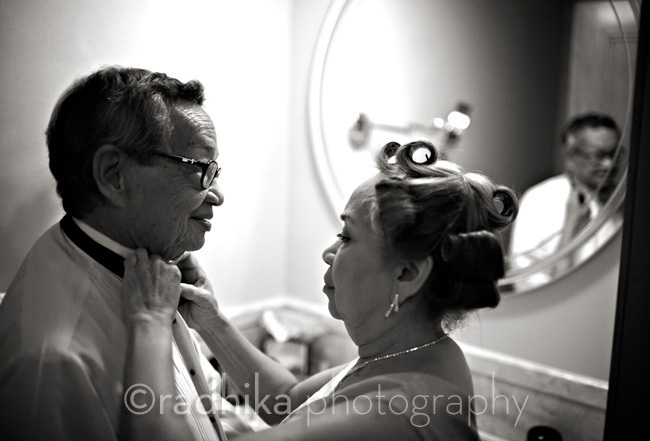 For the second year in a row Radhika Photography has received a Bride’s Choice Award from WeddingWire. 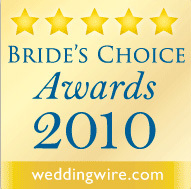 The award recognizes excellence in quality and service in the wedding industry and is given out only to the top 5% off all wedding professionals. 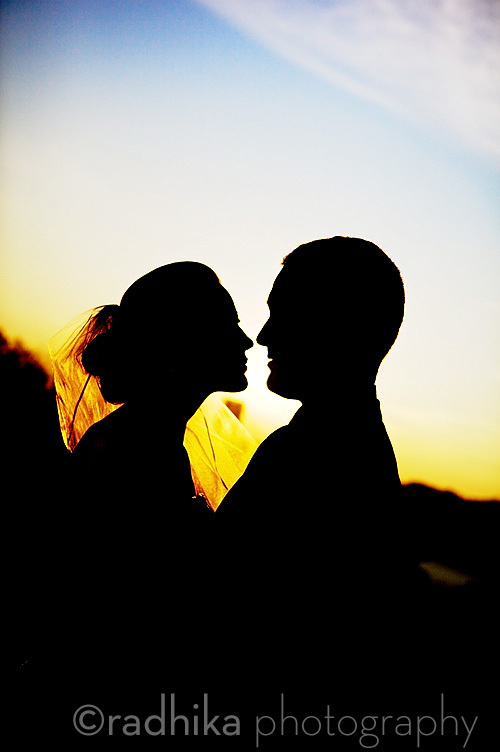 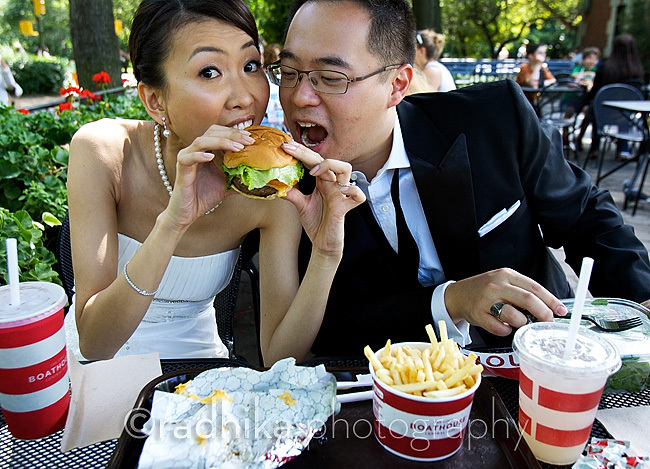 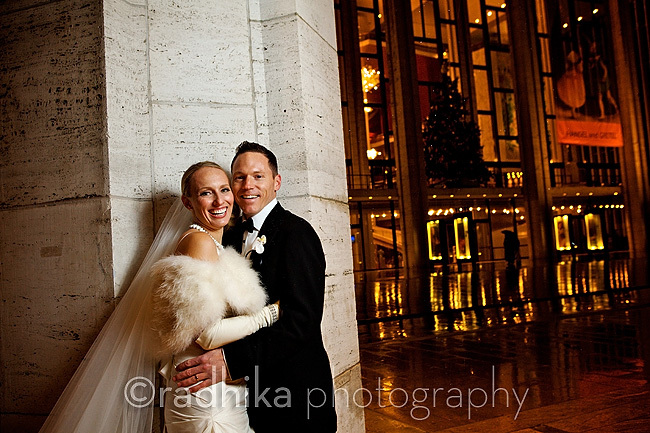 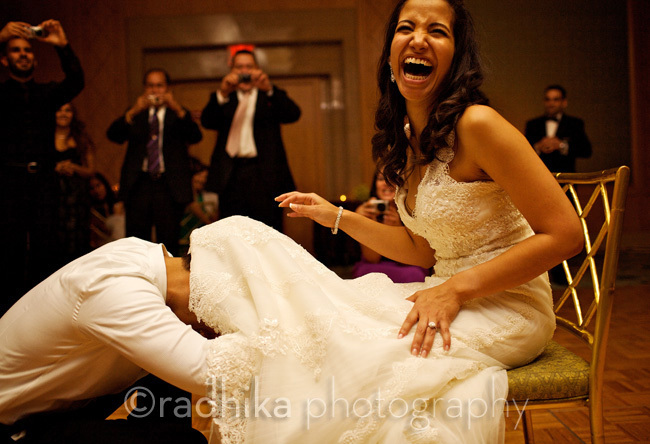 Since this is all about what newlyweds think about our photography and the services it means a great deal. 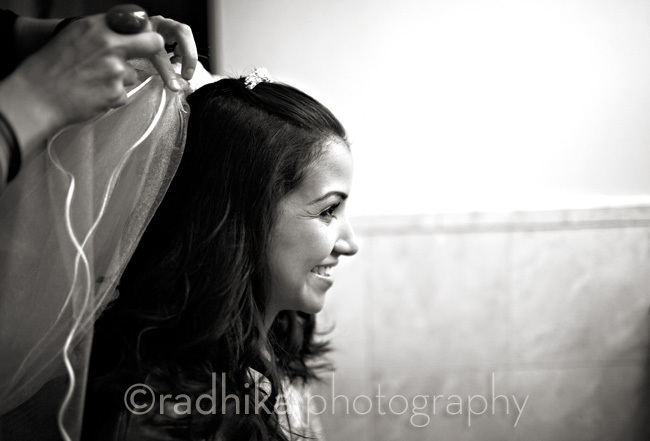 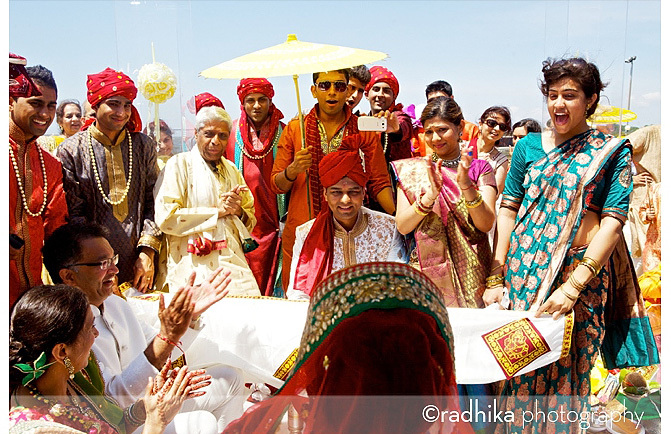 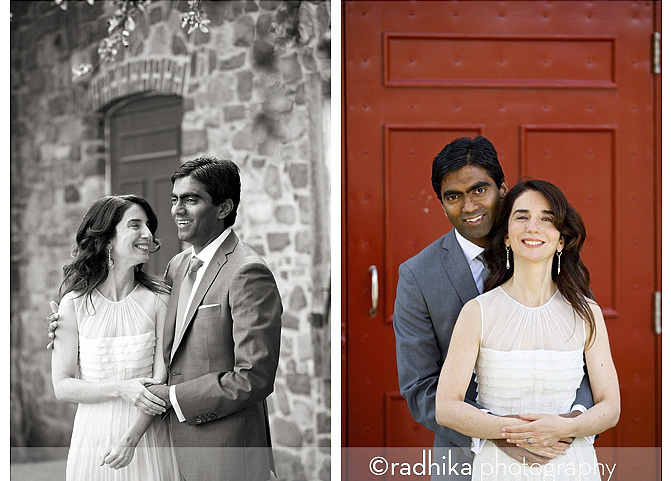 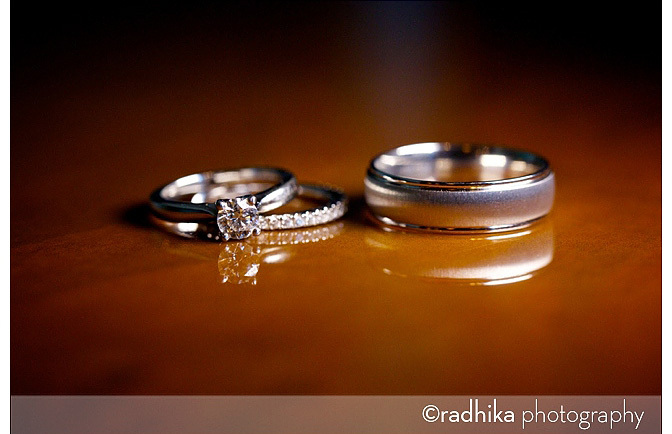 I’m grateful that I had such great weddings last year and got to know so many fun people through them AND that many of you were willing to write out Radhika Photography. 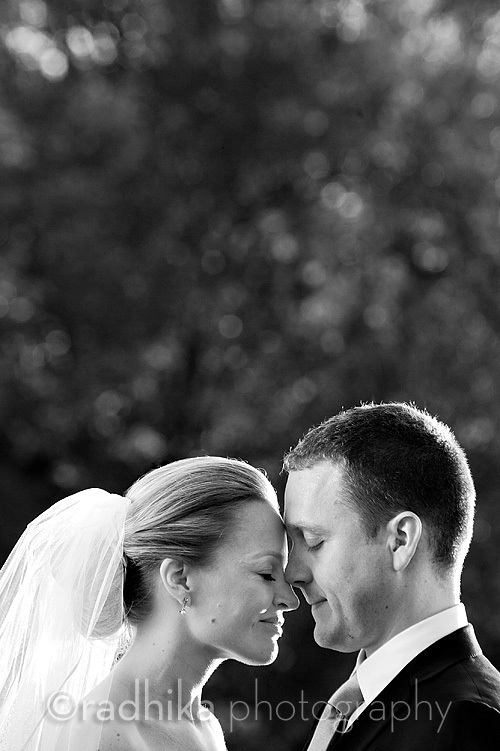 There’s nothing better than great reviews from the people we’ve worked for and with! 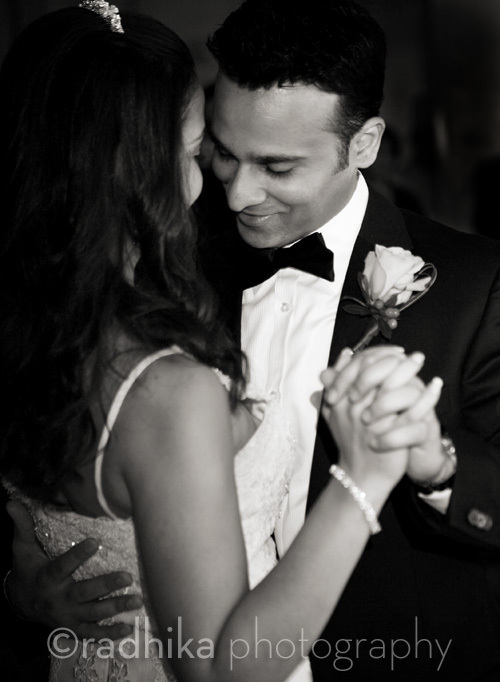 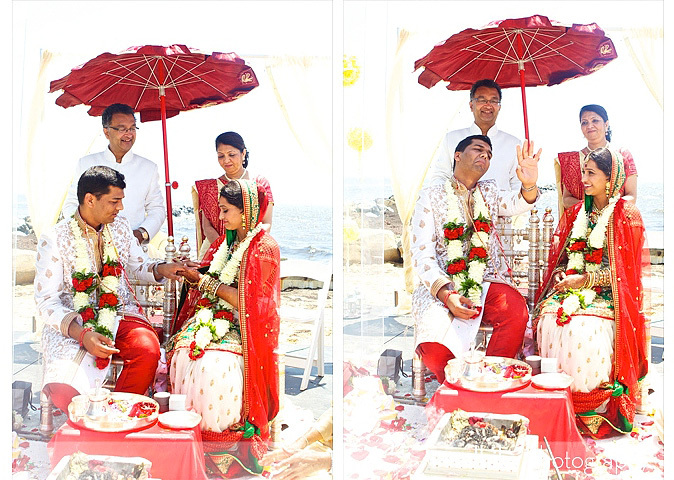 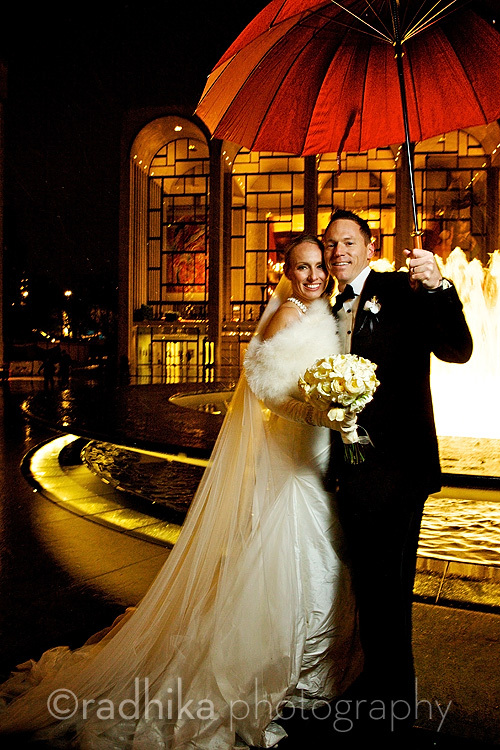 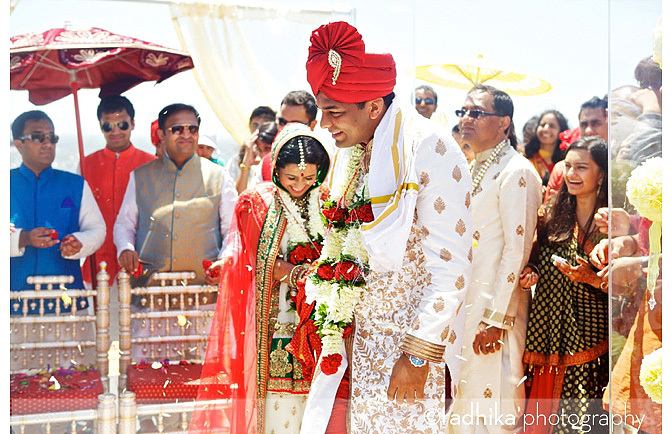 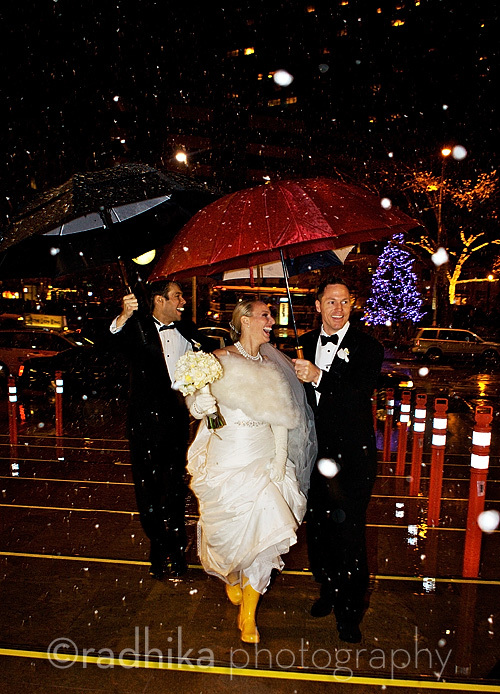 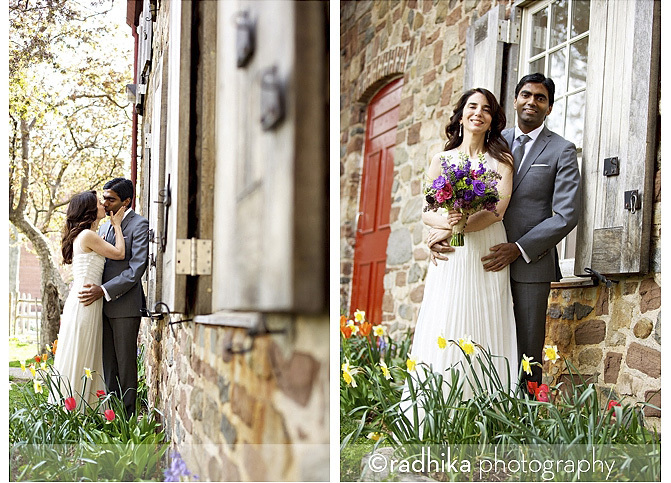 Michelle and Vineet didn’t let gray skies and rain get in the way of a fun-filled wedding. 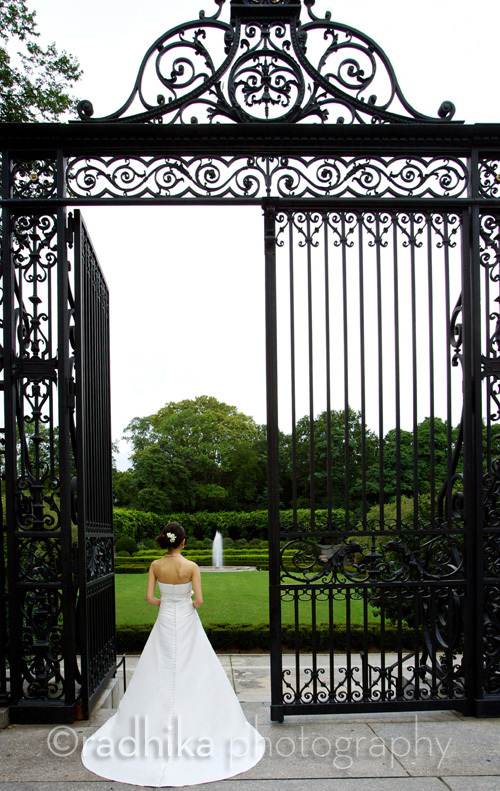 While I was photographing another wedding at a vineyard on Long Island my associate photographers spent the day with them.